I've worked with many Systems Administrators throughout my career. Each of them undoubtedly unique, but many share some observable traits. Often they tend to see themselves as unsung heroes - the frequent saviors of productivity, the mechanics of the business engines, or even as a kind of Atlas supporting not just the weight of the world, but the fate and destiny of the entire company’s collective future. It’s no secret that many of these brave individuals are the kings of ad-hoc learning, often trailblazing new software frontiers with nothing more in their toolbox than a unique ability to absorb complex integration practices learned often by experience alone. The most stereotypical trait for Systems Administrators is disorganization. Hollywood and television programs have convinced us that behind the fogged glass door of the IT department lie piles of workstation and printer graveyards, boxes of random cables resembling spaghetti, and a growing collection of fast food wrappers. On the surface, the eyesore of the traditional IT habitat rarely convinces many that actual work is performed. In their defense, this environment is the result of a position that rarely has strict boundaries of responsibility. Over time, they are asked to evolve into not just Information Technology admins, but also be responsible for supporting almost anything that requires electricity. The Systems Admin is usually trusted with one of the most important tasks of any network; data backups. At any time, the combined day-to-day toil of millions of bytes of information from their co-workers could potentially disappear in a heartbeat when the urban squirrel decides to go looking for nuts in local utility pole transformer. Thanks to the ever-improving resilience of storage technology, the risk of a complete loss of data (aside from the rapid fission of neutrons from Uranium-235 within 1.6km radius of your data center) is thankfully lower than ever. But a common saying rings true for data backups: it’s better to have it, and not need it – than to need it, and not have it. VEEAM is rapidly becoming a favorite tool of these IT-basement dwellers, for the fact that it provides data protection and high-speed recovery while still maintaining a friendly and easily learned interface. Virtual Servers and Workstations have rapidly become the new normal for many office environments, which does ease many of the previous support challenges of physical devices, but opens the door for even more importance on reliable backups when they are centralized in the data center. 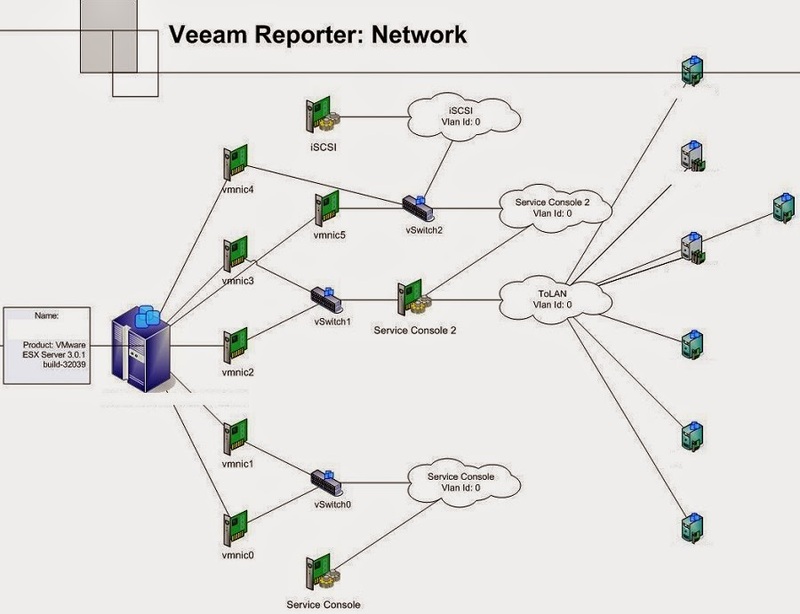 I began using Veeam products in 2007, where the free Veeam Reporter tool (right) provided an easy method of documenting a VMware virtual environment. Back then, I was also an over-tasked IT Systems Administrator, except that I was not supporting one company, but many. Like many of my basement-dwelling brethren with messy offices, I didn't have time to spend on training to learn complex software. I had to be the best ad-hoc support engineer that I could be, given the time that I was slaving against the almighty billable hour. That often meant learning and supporting software IT products as I configured them, and Veeam products allowed me to spend less time figuring them out, and more time using them for their intended purpose. The free Veeam Reporter has since matured, and is now part of the Veeam ONE Suite (left) that shows an extremely granular visibility dashboard into your entire virtual infrastructure for your Virtual Servers and Workstations. 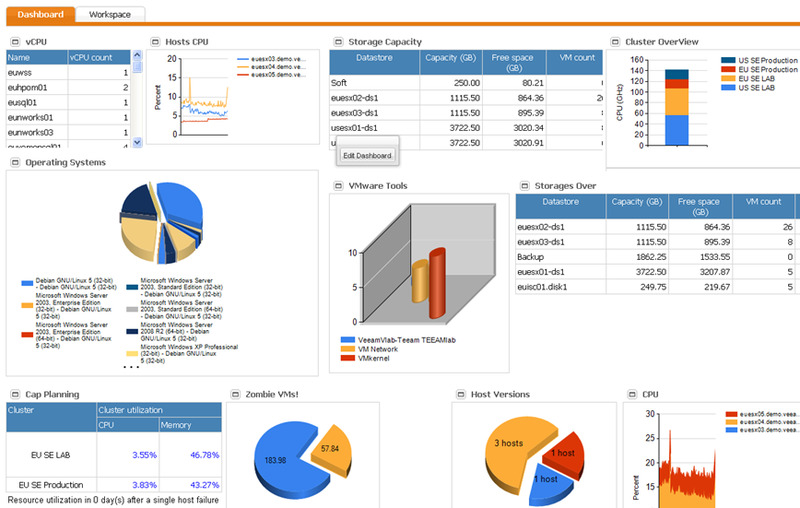 It provides real-time monitoring, optimization, capacity planning, and over 25 new reports for showing your work, instead of letting your messy office do the talking for you. By pairing this tool with Veeam’s Backup & Replication set-it-and-forget-it style of management, it frees your time for other tasks….like fixing mobile phones, aging fax machines, and printers.